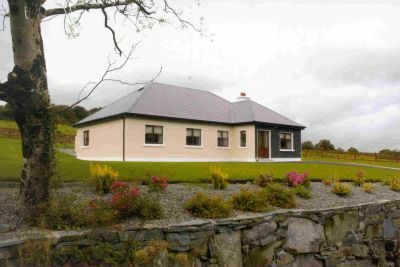 Situated in the historical village of Aughagower in Westport which is only 4 miles away. Ideal location for touring the wonders of Co Mayo. Local pub, shop/post office and petrol station are all a 5 minute walk. Large independant garden with garden furniture. This cottage sleeps up to 6 people with one King size bedroom with en-suite, 1 double and 1 single room. Fully fitted kitchen with living room with open fire and dining room. From Shannon: Take N18 to Clarinbridge via Ennis, N6 to Galway, N60 to Castlebar, N5 to Westport. From Dublin: N4 to Edgeworthstown, at Longford bypass roundabout take 2nd exit into bypass. N60 to Castlebar, N5 to Westport.